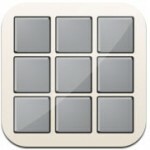 Beat-Machine by Primitive Digital Software is a powerful and affordable retro themed drum computer for iOS that works great on iPhone, iPod Touch, and iPad. Beat-Machine combines a simple X0X style sequencer with a robust and flexible sampler to give you maximum control over your beats. Sample or import your own sounds, trim them, edit them, add some effect, and chain patterns together. Choose from 16 or 24 bit! Example drum kits and patterns are included to get you started! Beat-Machine is available for $0.99 for a limited time.